Top 3 WooCommerce Benefits to Setup eCommerce Website? The WooCommerce is the eCommerce platform designed for WordPress in September 2011, and now thousands of e-commerce websites are running on WooCommerce. There are so many benefits of the WooCommerce, but I am going to explain you three advantages only because they are highly considered by the developers. These three benefits primarily touch the base of WooCommerce. The first benefit is – it’s very easy to use both for your customers and yourself. The second is easy to develop compare to many of the other eCommerce platforms out there. And third there is tons of support available. One of the remarkable things about WooCommerce is the fact that it’s very easy to use for both customers and you. The checkout process is very intuitive. Its one-page checkout page makes buying experience comfortable and convenient for the users. In your eCommerce website, you don’t want to have any up barriers between your customers and process of purchasing a product, so the one-page checkout is a lot more user-friendly than some other carts that you would have seen having multiple pages to the way check-out. With WooCommerce, everything streamlined and also it is integrated with the WordPress, so you don’t have to learn two separate Softwares as well as don’t have to deal with two different logins. In Woo commerce, everything is seamlessly integrated together which is nice. One thing that we like about WooCommerce from a development point of view is it’s a lot easy to develop on as a lot less work requires. It demands less amount of work compared to other platforms such as Magento. You can have to do double or more amount of work to get fully-featured and fully functioning eCommerce platform Vs WooCommerce. This way you need to work less to have a fully working eCommerce website because the web development process requests fewer hours to develop the first website. As an additional benefit, if you need any upgrade in the future that could also be done a lot easier way. One of the other thing that you would like about WooCommerce is that it’s very in light weight compare some other platforms like Magento. So, on the same web hosting account, your WooCommerce website is going to load a lot faster than Magento. 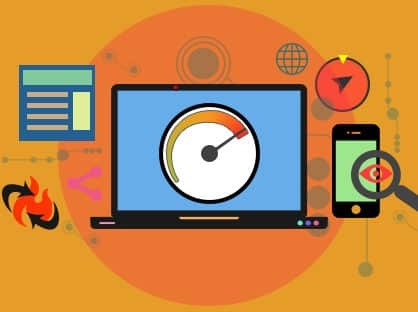 For your customers, you want a more faster website. You don’t want customers to wait around due to a slow website and potentials leave your website. So that’s another benefit that comes up with the WooCommerce. You can sell even simple products like the hat, watch, or anything else on WooCommerce platform. You can also have configurable or wearable products like a shirt, dresses, where you may have different sizes, different styles variations, and different colors. You can have virtual products, for example as a service or maybe software. They could be downloadable products, for instance, an eBook or mp3. You can even have external links those may be linked to Amazon products upload page, and you can earn a decent affiliate income. The WooCommerce also comes with advanced reporting, inventory management, coupon discounts. You will get everything that you would expect from the powerful full-fledged-commerce software. There also have a ton of premium extensions. These extensions are plugins for Woo-commerce. These extensions cost some money for extra features. We firmly believe that the are better than the free or open source plugins. Ultimately, you are making money out of your eCommerce website. It’s your online business. So, there is no any loss to invest in these premium extensions of WooCommerce. The premium plugins are lot more reliable than the free ones. You pay for the plugin that gets you the quality and complete support. From our experience in a past ten years, we found that the paid plugins a lot more reliable than the free ones in this marketplace. You have support for anything whether you are the shipping logistics or any payment gateway logistics. You can even have support for custom shipping logistics, for example, shipwire while you’re into the WooCommerce. You can integrate it with MailChimp or Constant Contact to automatically sync up to your customers’ database with a mailing list which is very powerful way to retarget the customers. You can set up deals of the day, products of the day, related products, and there are many things you could do with Woo Commerce. WooCommerce is the easiest way to start your own eCommerce website. It takes less time in development, so cost reduces and money could be invested in some other related work as promotion, maintenance of the website, management, etc. Which ecommerce platform are you using for your online Business? Are you using WooCommerce? If yes, how was your experience? Share by commenting below.